A NINETY year campaign to free a small Shetland island community to take full advantage of the surrounding ocean finally came to fruition at the weekend. 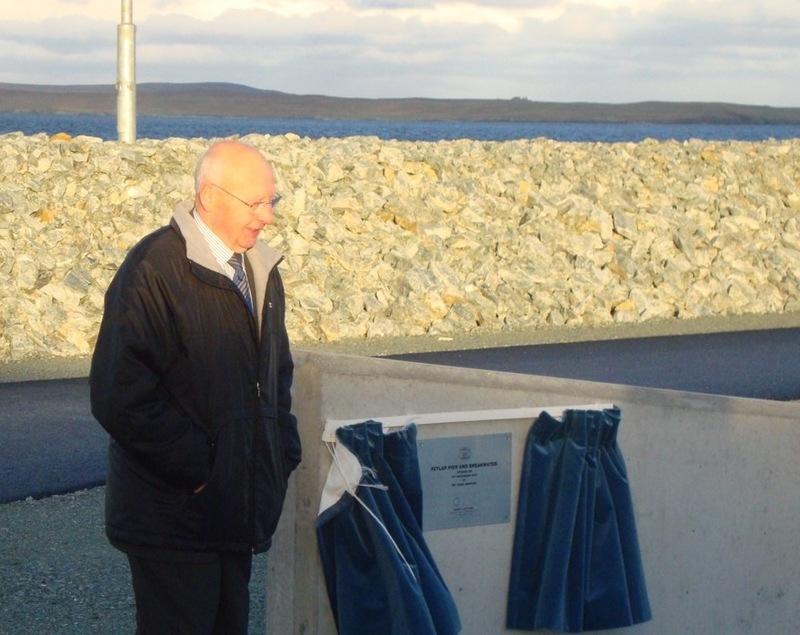 Around 100 people turned up at Hamars Ness on the isle of Fetlar to celebrate the opening of its new pier and breakwater, allowing boats to berth for the very first time. When Fetlar’s population dropped to just 48 people four years ago from a peak of almost 800 in the 19th century, folk feared for the island’s future. For almost a century islanders had called for a pier to be built to allow fishermen to make the most of the rich fishing grounds nearby, and more recently for the island’s ferry to berth all year round. When Shetland Islands Council pledged £2.36 million backed by £300,000 from Europe for the project, it had an immediate impact. “The prospect of a pier was a huge psychological boost for the people,” local development worker Robert Thomson said. Even before the pier had been completed the population had nearly doubled, and just last week a new couple moved in to croft a piece of land and take the population to 79. Local contractor Frank L Johnston Ltd was praised for the high standard of work and for completing the job under budget, even throwing in an extra 40 metres of breakwater, by using local stone. A 38 metre suspended pier protected by 235 metres of rock armouring will be the economic trigger islanders have been waiting for. Local men have already met with the Shetland Shellfish Management Organisation who are reviewing their strictly-controlled licensing system to allow new vessels to make a living. Unst-based Meridian Salmon are opening a trial salmon farm at The Flaeshins next year, which could eventually employ Fetlar seamen based at the new pier if it proves to be a success. Thomson said: “People have fought for this for so long it feels almost surreal now that it’s here, but it’s a fantastic facility and the contractors have done a really wonderful job. “It should make a real difference. Unlike most other islands Fetlar didn’t have the option to go into the fishing industry, which is ironic because there are so many good fishing grounds around its coast. He also hopes the growing number of visiting yachts and cruise liners will go up even further with the designated landing site, lifting the summer tourist trade so vita to such small island communities. On top of that, when the builders excavated rock for the breakwater, they created a football pitch-sized area for development, with ideas ranging from a caravan park and boat sheds to industrial units to support fishing and aquaculture. The main challenge now is finding a way to pay for mains water to be piped to Hamars Ness, Thomson says. 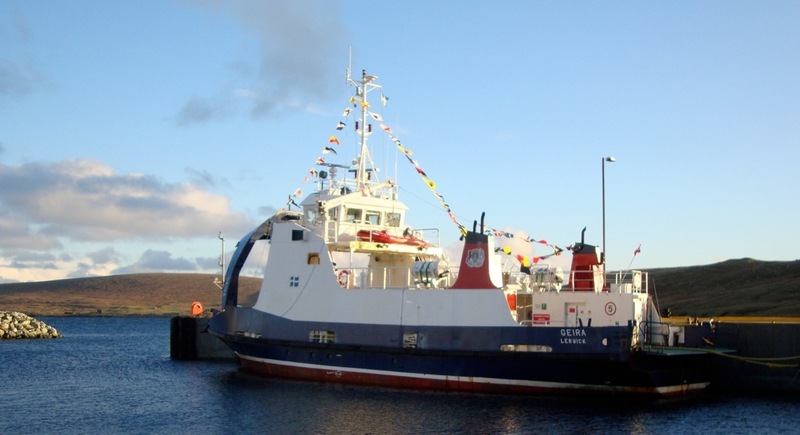 But a cloud remains on the horizon in the form of the council’s current spending review, which threatens to remove one of the two vessels serving Fetlar as part of the effort to save £3 million from the ferries budget. When building at Hamars Ness started two years ago the dream was the breakwater could provide protection for the ferry Geira during the winter gales so it could be based on the island, where five of its crew live.